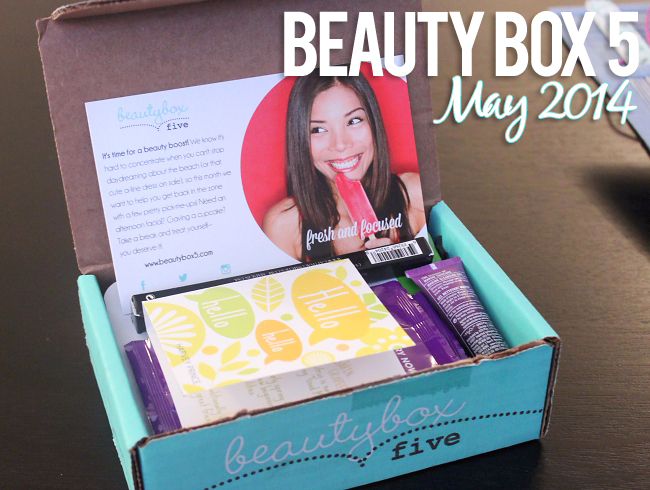 Beauty Box 5 May 2014 Review! 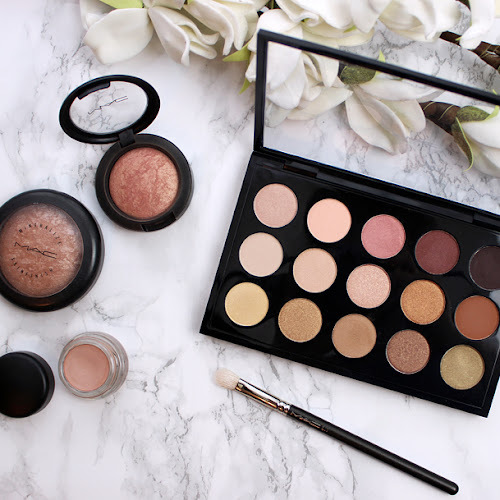 In this month's Beauty Box 5 I've found items that I will definitely enjoy using, considering actual hot and humid weather where I live. Like I have mentioned that many times before, I like Beauty Box 5 for the fact that every single month so far I've easily found at least one item in each box that I've enjoyed using and also I got to know some brands that I have never heard or used before. But let's start with my May's Beauty Box 5 samples! 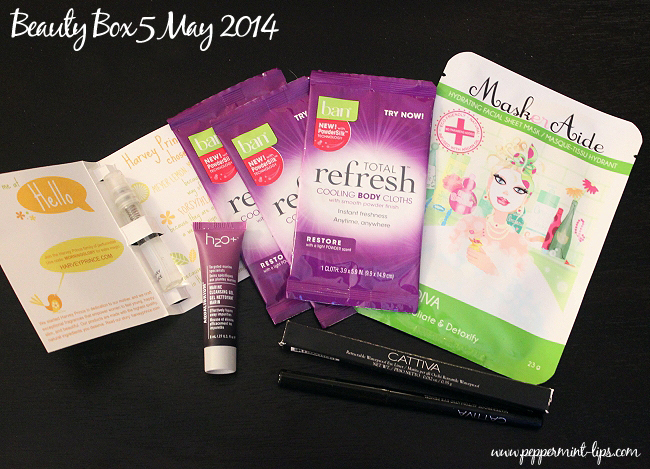 What's in May 2014 Beauty Box 5? :: MaskerAide Hydrating Facial Sheet Mask ($5.99, full size) - paraben free, sulfate free, mineral oil free, fragrance free and vegan friendly face mask that cleanse, exfoliate and detoxify. Formulated with Geranium oil, seaweed, green tea leaf extracts and more. 100% biodegradable. Can't wait to try it! :: H2O Plus Aqualibrium Marine Cleansing Gel ($18.00, sample) - made with sea salt, marine botanicals and it's oil free. 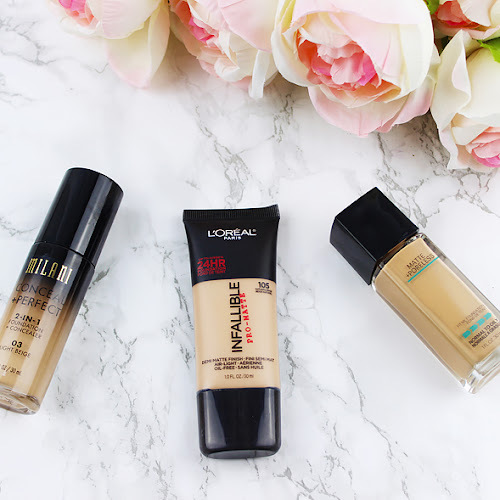 I absolutely love products that smells like that! 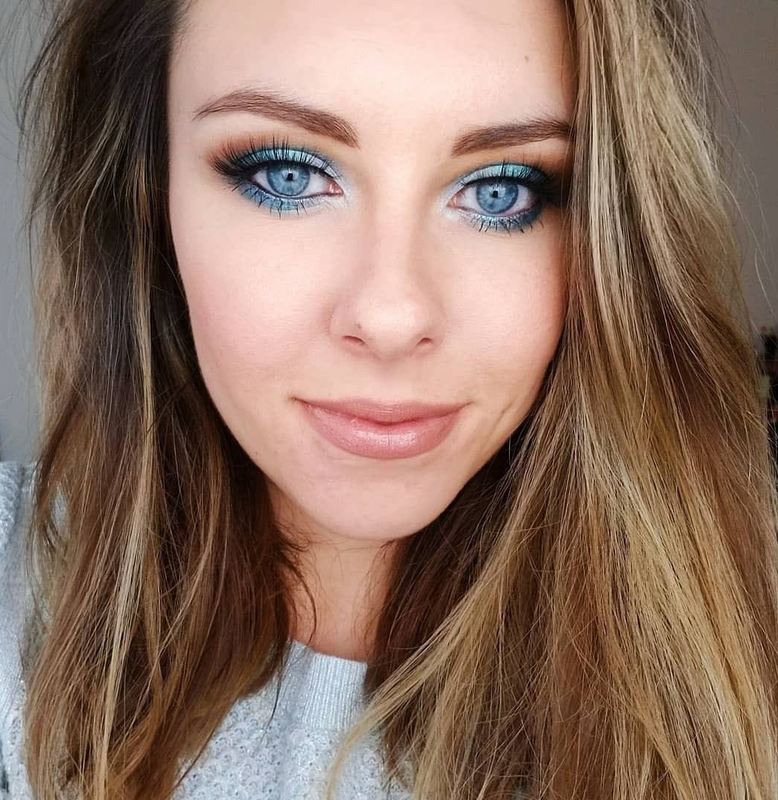 Reminds me of the ocean and Summer! :: Ban Total Refresh Cooling Body Cloths ($2.97 10 cloths, 3 in BB5) - I really like the fact that these are single packed and just the right size to put it in my purse or a gym bag. They smell really good too! :: Harvey Prince Hello ($55.00, sample) - refreshing notes of mandarin, grapefruit, forsythia and plumeria. 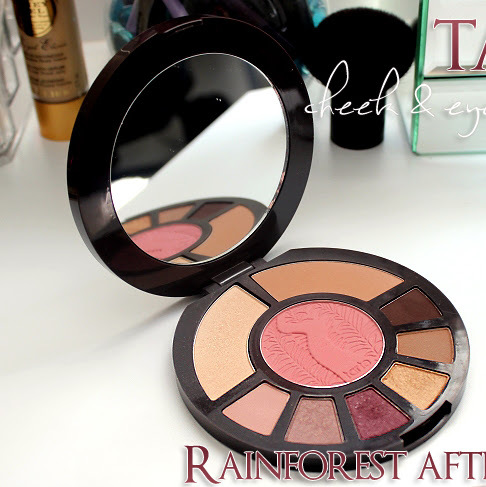 Yum, this fragrance smells very refreshing and energizing! 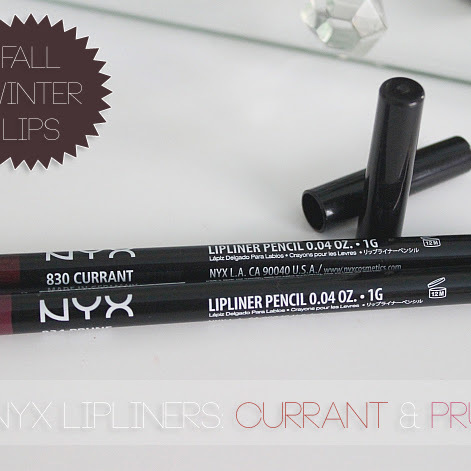 :: CATTIVA Precision Eye Liner ($20.00, full size) - paraben-free, waterproof, retractable and very soft eyeliner. Great pigmentation! 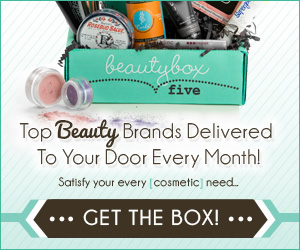 I've talked more about Beauty Box 5 and how it works here. Get your Beauty Blog 5 now!